Eric Riordan doesn't look for trouble, but trouble has a way of finding him. Two years have passed since the Outbreak, and after joining forces with his friend Gabriel, he has managed to stay alive by fleeing to the peaks of the Appalachian Mountains. With supplies running low, and enemies gathering, the two survivors are forced to begin their journey west to Colorado. Along the way they will find unexpected allies, reunite with old friends, and make deadly new enemies. As difficult as life has been, the most dangerous times lie ahead. Nothing is ever easy at the end of the world. Would you consider the audio edition of This Shattered Land to be better than the print version? Yes, the narrator does a splendid job. The story flows well enough that the listener stays engaged. There is a general problem with most zombie, walking dead, infected or whatever, stories. The laws of physics are such that the energy expended by the creatures has to come from somewhere. If it is from what they can catch and eat, then when their hunting stops showing results, they will weaken and be unable to hunt. They will run out of energy unless they can consume whatever mass their bodies retain to provide energy for movement. Even so, they are on the wrong side of the energy curve. Factor in the ravages from maggots/flies, they will run out of juice and cease to be able to move. There is no way that zombies are not on their own doomsday clock. This rarely comes up in this genre and does not in this series. Other than that, this is a great series. I thoroughly enjoyed the characters or Eric and Gabriel and their struggles. I hope there are more to come. Great follow up to "No Easy Hope"
I really enjoyed this follow up to "No Easy Hope." I got more about the character Gabe, which I had wanted. So far this series has a good and gritty realism with a good understanding of human nature, both the highs and the lows. Really enjoyable! 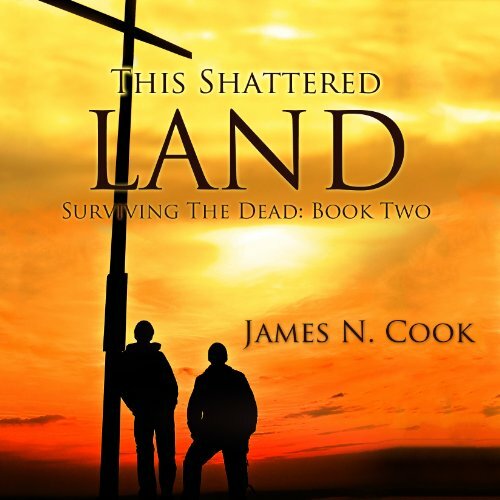 this shattered land picks up 2 years after the end of the 1st book. eric and gabe have been holed up at eric's grandmother's cabin in the mountains. they both begin to realize that they want more than just surviving. they decide to head to colorado springs, where what's left of the u.s. gov't has established a safe zone. while hunting in one of the valleys around their cabin, eric and gabe discover a small family: tom, sara, and their 12 year old son, brian. the first half of the story deals with eric and gabe meeting and getting to know this family and getting prepared to leave their safe place for the wild journey to colorado. but before they can leave, they decide to venture into one of the nearby towns for supplies and items that might have a trade value. 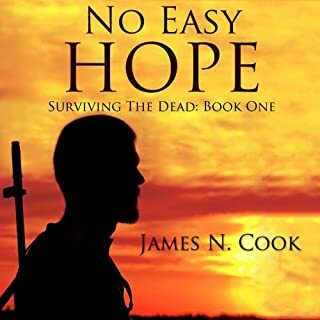 there are a few zombie battles in the first half of the story, but the survivors quickly learn their trickiest and deadliest enemy may be other survivors. those who have managed to survive have learned how to use zombies as weapons. the second half of the story revolves around the journey to colorado. on their way there, they meet another survivor who deepens the mystery behind the red phage that turns humans into zombies. the group also learns the hard way that there are other groups vying for power with what's left of the u.s. gov't, in particular, the legion. an old friend comes to the rescue during a deadly battle and leads the remaining wounded survivors to a safe zone. however, the safe zone has its own problems, and eric and gabe have some big decisions to make. in this story, there is a transition between what's dangerous. 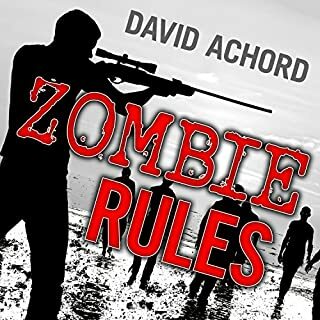 initially, the zombies are the threat, but as the story progresses, other groups of survivors become the primary threat. i imagine this is believable b/c i believe this would be the natural progression in a zombie apocylapse, especially b/c there are no "special" zombies a la day by day armageddon. 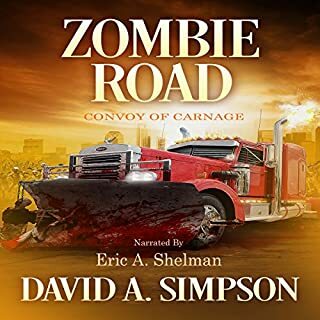 it seems as if the story is also transitioning from a zombie survival story to more of a survival and re-building society story, which is kind of different than most of the z-stories i've listened to lately. i guess my biggest complaint is still the narrator. while his male voices are ok, his female voices are just awful. it did detract a little from the story. I just found this guys work. It is a really fun and gripping saga. Love finding new talented authors! I got into the first in the series and liked it. The two main characters, Eric and Gabe are designed as almost super heroes. They know how to do everything, make obvious suggestions that no one else managed to think of, with near unlimited resources, and manage to instantly attract any single female they come into contact with. They are completely unrealistic, and it kind of ruins the suspension of disbelief. It is clear that Cook wrote these two guys how he fantasized about himself. However, still a decent story. The second story is much the same as the first, super heroes, take out massive hordes of zombies, marauders, etc. However, this book kind of ends abruptly, as in I was listening to it, heard the "Audible hopes you enjoyed this program." and said "WTF" out loud to myself. There was no real climax, no real goal accomplished, nothing. The author was building into it and I thought we were getting to the turning point of the story, and then it stopped. Clearly this author has a lot to learn about the fundamentals of writing non-fiction. Like each story should have a point. The only complaint I had about the first book was the narrator. He redeemed himself, no more surfer dudes and valley girl voices. As some others pointed out there was a survival guide feel to it, lots of info on weapons proper preps, and human dynamics. Although it is not non-stop gore, it is still a zombie story. More information comes to light regarding the outbreak, and you get to hear the story from both Gabe and Erics points of view. 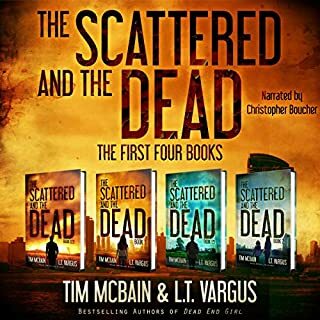 This is a great series, and the third time I have listened through them all. I am really enjoying this series so far! Different take on the apocalypse! The characters I like! Well worth reading! Mates have eachothers backs against the Zombies. If you Read the first book and liked it. Then the story just gets even better. Gab and Eric working as a team. Which character – as performed by Guy Williams – was your favourite? Gab - he has him down cold. If you can kill one Zombie, you can kill a legion. For the last 10 months I have been listen to the Survivalist Series on Graphic Audio and had got quite used to having a cast and sound effects. 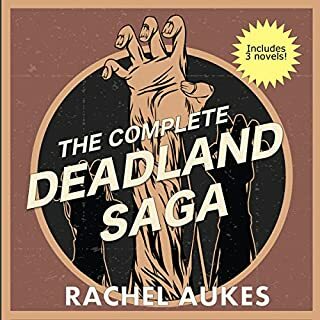 So when I first start listening to the Surviving the Dead series it took a little while to adjust to one story narrator. 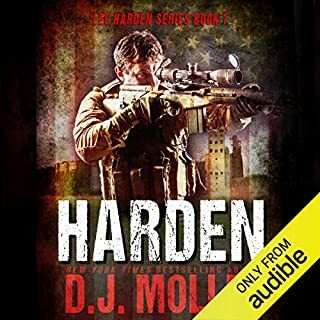 I am really into this series it is rare that I will fill any time but dead time ( driving etc) listening to audio books but after getting a little way into this series I find myself finding time to listen, was up till 2am the other night! I don't really have any dislikes, the story pace and content suites me fine and one of the things I am really enjoying is the way it flicks viewpoint from Gabe to Eric, 'The diary of Gabriel Garret' neat! If you like this series then I would recommend the A. American series starting with Going Home also good listening!